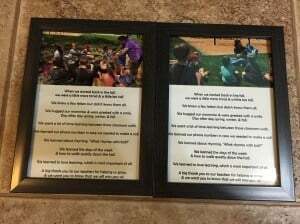 I first created this when my first son was in preschool, & I plan to do the same thing when my younger son finishes up this school year to show my appreciation for his wonderful teachers! When we started back in the fall, we were a little more timid & a little less tall. We hugged our mommies & were greeted with a smile. Day after day spring, winter, & fall. 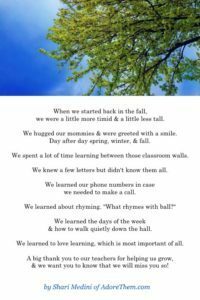 We spent a lot of time learning between those classroom walls. We knew a few letters but didn't know them all. We learned our phone numbers in case we needed to make a call. 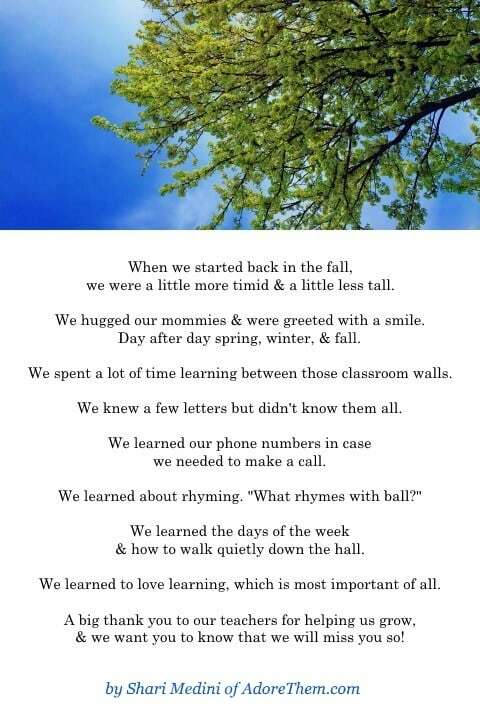 We learned the days of the week & how to walk quietly down the hall. We learned to love learning, which is most important of all. A big thank you to our teachers for helping us grow, & we want you to know that we will miss you so!